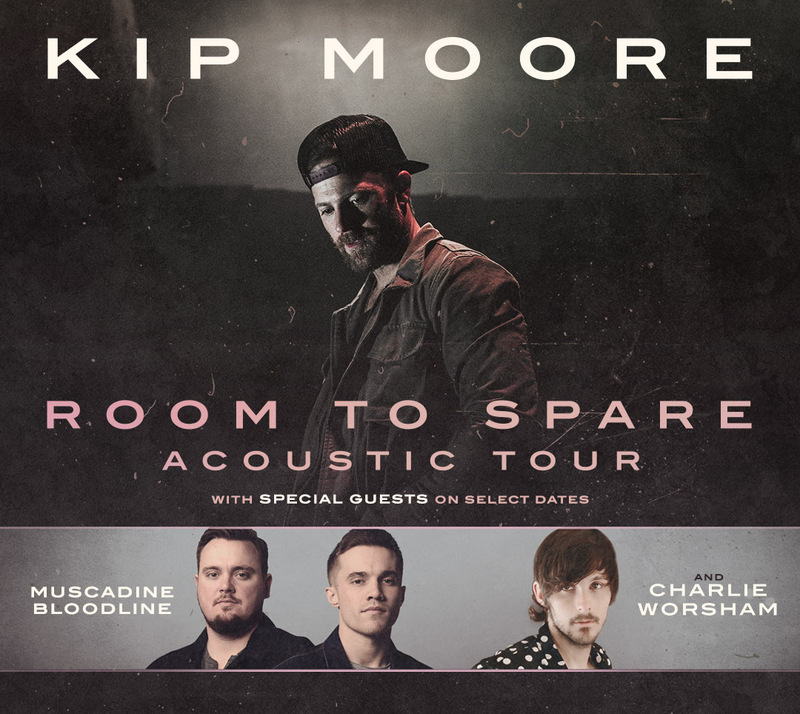 Multi-PLATINUM singer/songwriter Kip Moore announced the extension of his in-demand ROOM TO SPARE: ACOUSTIC TOUR today. The stacked run will kick off in Chicago, IL on 3/7 and will wrap with international shows in The U.K. and Canada. The newly revealed dates follow a limited fall run, which saw Moore playing all SOLD-OUT dates and audiences praising his stripped-down, intimate set. Charlie Worsham and vocal duo, Muscadine Bloodline are set to join Moore on select dates next year. Tickets will go on sale beginning Friday, Dec. 14 at 10am local time, here.